Woo hoo! Blur are back with their first album as a four-piece since 1999. And what's more, they gone through EVERY track with Radio X's John Kennedy. Blur have returned with a new album called The Magic Whip. Recording started during a five-day break in Hong Kong in the spring of 2013 and, after a lot of hard post-production graft, the band emerged with one of their finest albums to date. 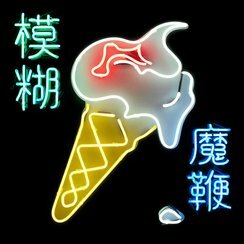 The Magic Whip screams of Blur nostalgia and yet, as always, they've pushed the boundaries of what that sound can be. You can listen to Graham Coxon and producer Stephen Street chatting Radio X's John Kennedy through The Magic Whip below. In November last year, Graham Coxon went back to work on the tracks with the help of Stephen Street, who produced Parklife and Modern Life Is Rubbish. In the press conference to announce the album, Coxon described Street as the "meticulous" producer that the "overwhelming" project needed. Graham Coxon: "We had to lie to keep the new Blur album a secret"
Graham asked Damon's permission before digging into the recorded material, likening it to "looking at somebody's notes...that needed somebody to organise it." The album marks the band's first studio album as a four-piece since 1999's 13. The band will play a British Summer Time Hyde Park show on 20 June 2015 as well as performing a headline spot at Spain's Benicassim Festival in July.